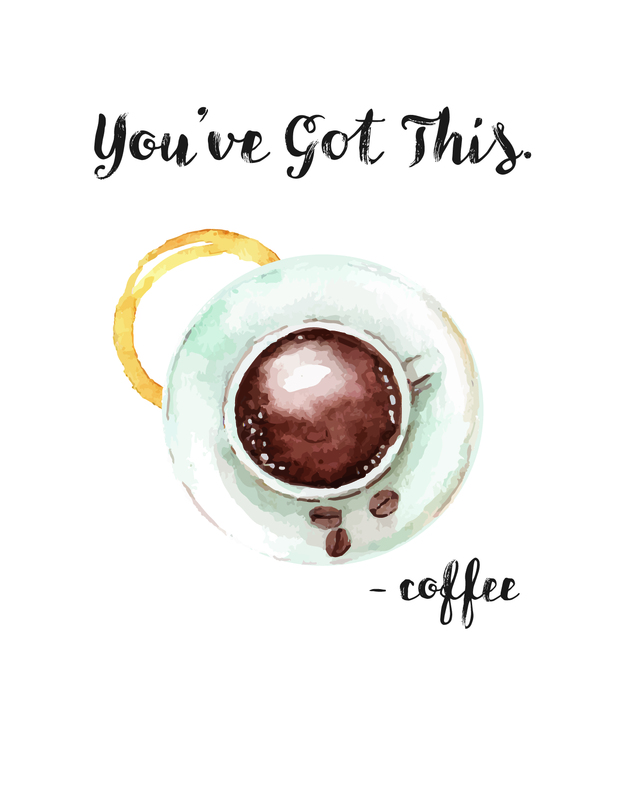 I like to make things about coffee. I made a pretty sharpie mug for my mom earlier this year, and I’ve been learning how to make cold brew coffee, I even made this coffee exfoliating scrub. 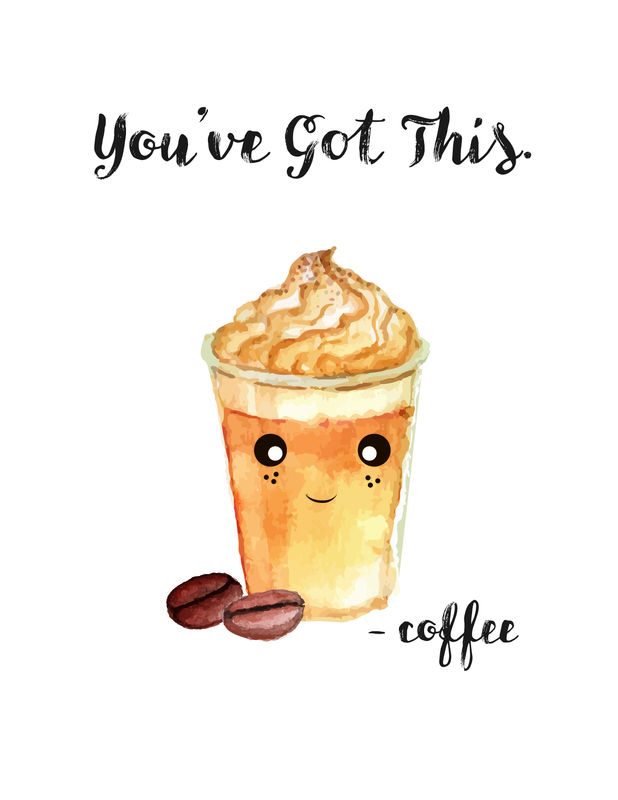 So when I saw these adorable coffee watercolor illustrations I had to make something lovely with them. 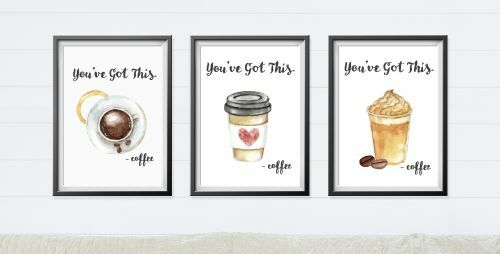 I don’t do a lot of traditional painting these days, but these coffee posters might just convince me to get back into it. They are so, so cute! 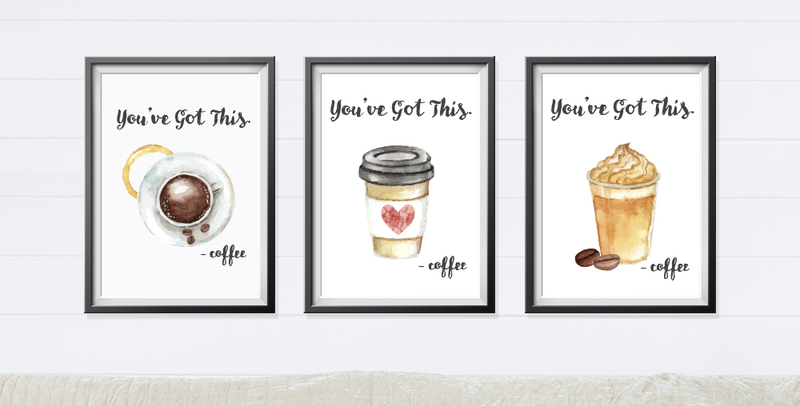 These three coffee posters are cheeky and cute – just the thing to “perk” you up in the morning! I actually ended up making 5 versions, because I couldn’t resist putting shiny little eyes on a couple of them. My husband calls them “boba eyes” because our favorite boba tea place has a similar looking cup of tea with a face. Maybe I’ll make a boba tea version next! I think what I like so much about these is that they could be used in any number of places. It would be great in an office kitchen area, or maybe on a cubicle wall, or framed in a kitchen. Of course, the phrase in all of the posters is the same – so you won’t be able to hang all three together. So maybe hang one in the office, one in the kitchen and one on your cubicle wall. Three birds with one coffee posters stone. I’m more than happy to add more phrases if you have a favorite! Share it in the comments! 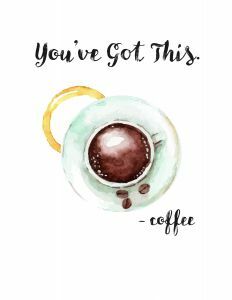 Oh and don’t forget… you’ve got this. 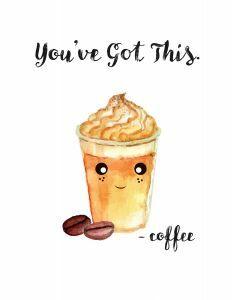 Coffee says it, so it must be true! I just want to say I stumbled across your site today, and I love it. I don’t do Facebook or Twitter. I do enjoy Pinterest . 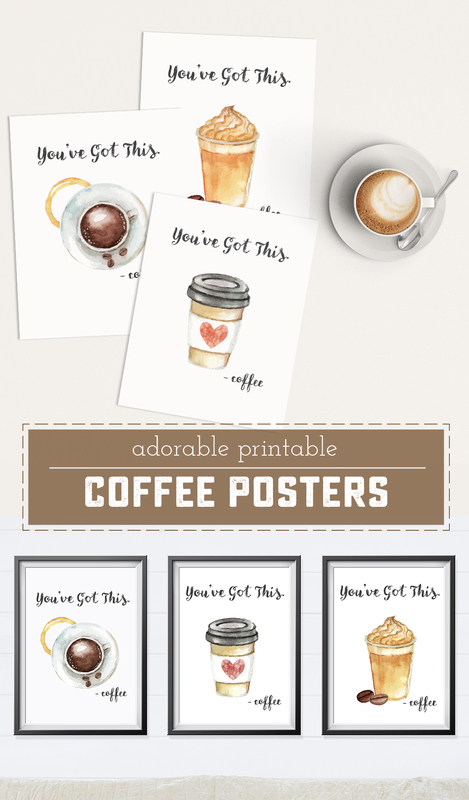 I love the coffee posters ( I LOVE COFFEE ). I also enjoy DIY body care . I’m looking forward to visiting your site on a regular basis. Awesome. YAY! Welcome Monique! Thanks for your kind words – happy to have you! So awsum! They are really cute!!! My best friend is a true coffee lover and I would love to print these, tuck them into thrift frames and give them as a gift. Thanks for letting me know, Carme. Not sure what happened there – but try it now!